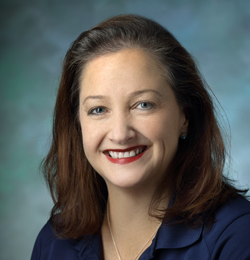 Beth Anne received her Masters of Physical Therapy from Emory University in 1995. She has been practicing orthopedic physical therapy in the Washington, DC area since. She has continued her education though conferences, course work, group study and volunteering on the medical team for several local athletic events. Beth Anne treats all general orthopedic conditions and has interest in shoulder, knee and ankle dysfunction. She has a treatment approach that includes: Evaluation, manual (hands on) work, exercise and functional training to return to sports or activities. She emphasizes home program development and self care techniques as an adjunct to Physical Therapy. She uses many types of Manual Physical Therapy techniques to develop each patient’s program including: Maitland, Strain Counter Strain, Muscle Energy, Principles of Manual Medicine and Paris Techniques.